You are here: Home / Freelancing / Why Freelancers Don’t Get Paid What they’re Worth? Why Freelancers especially the web solopreneurs aren’t paid what they are worth? 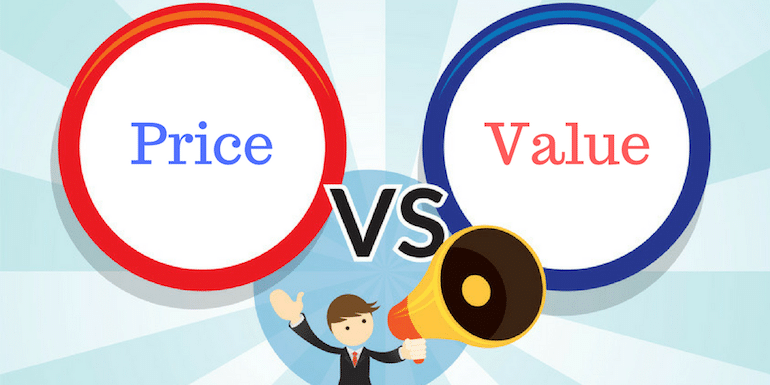 The reason isn’t the competition but the perceived value of services. Getting clients from freelancing websites and everyone view is, it is too competitive. Are freelancing websites only where we have competition? No. Competition is everywhere and often it is more fierce than those freelancing marketplaces. A brick and mortar shop in India will have customers saying the same is available at a much cheaper rate on Amazon. Don’t you check the prices online before making a purchase from a local store? The online marketplace is an advantage for freelancers as it makes clients from all over the world available but that may not be true for many other businesses. Yet freelancers especially the web solopreneurs are the ones who think they don’t get paid what they are worth? The answer is in the way freelancer consider themselves what they are worth. Often I see freelancer value their services equal to the client budget and the price point makes it difficult to deliver quality. Now the question may arise, what if clients do not have a higher budget and even if they have the budget, others may be more than willing to do it for a low price. If you aren’t yet another person who can get the job done, you can demand better rates. If the client doesn’t have the budget, you can reject such clients but those who have the budget, you have to make sure you position your services differently. As an example, if you design website, it can be tough for you to get good rates when a design is the only criteria for selecting a designer. What if you can differentiate by focusing on designs that have a better conversion. Once your designs are to focus on more sales, a client will be more than happy to get a design from you at much higher rates because he isn’t judging the design only from how it looks but from the perspective that can build his or her business. Another example can be SEO services, If ranking for a term (chosen by client) on the first page is the criteria to judge, the lower price proposal may win but what if you don’t focus on just ranking in Google for clients term but focus more on the traffic levels that can generate more sales to a client. Similarly for developers, if you are to create that next app, the GUI and functionality may be the criteria for selection but what if you can develop what can work for such customers and how your client can get more customers by hiring you to develop that app. Now the price isn’t the only criteria for working with you. Things that differentiate your services from others will allow you to demand better rates. 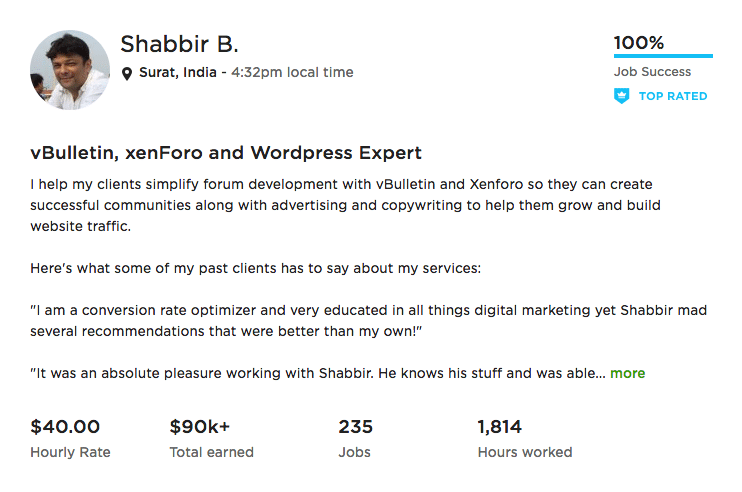 My hourly rate is $40 per hour in Upwork and I am often bombarded with the question like how I manage to get such a high rate in a very competitive marketplace like Upwork and that too for such an elongated period of time. The answer lies in the fact that I don’t write PHP code because any school student can do it at a much lower hourly rate. The security aspect of the code is one point but I also make sure my clients build successful websites and start generating revenue as soon as possible. I recommend things that can help them grow their website and business out of the box and without too much of an upfront cost. It helps me builds trust and over time they want to keep working with me at my hourly rates. People prefer to quote low and to break even at such low price, they deliver which they aren’t proud of. One rule of thumb has helped me is – I never deliver a code or a product, that I won’t use it for my own sites. If I am working on WordPress, I suggest each of my client move to Genesis Framework because all my sites are on Genesis framework. One of my client’s WordPress site was a mess. I moved the site over to the Genesis keeping the similar look and feel and fixing all the mess the older theme had. The traffic to the site is on the rise which made the client very happy and now he wants me to work and improve all his websites. 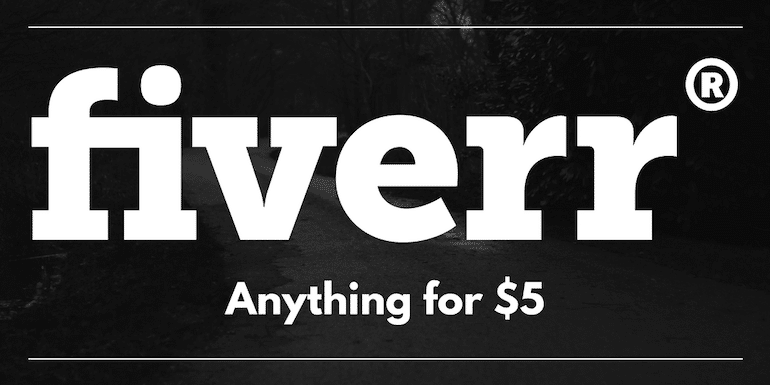 If you don’t prefer it for your own site, don’t do it for clients either.